As I review submitted recordings each quarter, there are always a few standout recordings that deserve attention despite the fact that only a few works on the album feature the clarinet. 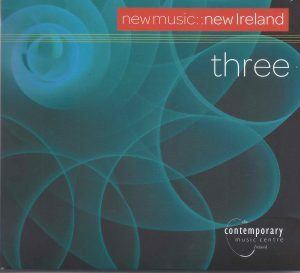 Two recent albums fit this description, with notable new repertoire and exceptional artistry: new music::new Ireland three from The Contemporary Music Centre and Jeremy Gill: Before the Wresting Tides, BMOP/Sound 1055. The Contemporary Music Centre presents promotional recordings of new compositions by emerging and established Irish composers. The liner notes describe these composers as “with a clear voice of their own, a freshness of spirit and invention.” As I listened to new music::new Ireland three, I immediately noticed that each work was quite different, not only in instrumentation, which ranges from solo instrument to concertos with orchestra, but in approach to the materials of composition. The engineering is excellent throughout, with clear, natural sound. The performances are at the highest level. Of special interest are works for clarinet: Cantaireacht by Ryan Molloy (b. 1983) for clarinet and fixed media in a live performance by Carol McGonnell; requiem by Kerry Hagan (b. 1974) for clarinet and computer performed by clarinetist Deirdre O’Leary and the composer at the computer; Aves by Kevin O’Connell (b. 1958), for voice, bass clarinet and piano, performed by speaker Elizabeth Hilliard, bass clarinetist Paul Roe and pianist David Bremner; eyam v (woven) by Ann Cleare (b. 1983), a double concerto for contrabass flute, contrabass clarinet and orchestra performed by contrabass flutist Richard Craig and contrabass clarinetist Carol McGonnell with the RTE National Symphony Orchestra conducted by Gavin Maloney; and Maria Minguella’s Elgnairt for clarinet, accordion and percussion, performed by clarinetist Paul Roe, accordionist Dermot Dunne, and percussionist Richard O’Donnell. I invite you to explore these fantastic new works from composers previously unknown to me. For information about The Contemporary Music Centre and to listen to the complete streaming album, visit the organization’s website: www.cmc.ie/projects/nmni/nmni3. 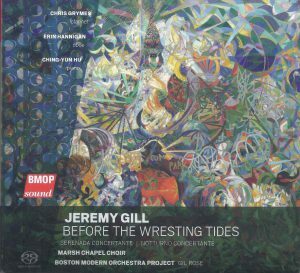 Jeremy Gill: Before the Wresting Tides presents three compositions featuring solo instrument and orchestra on the Boston Modern Orchestra Project’s house label BMOP/sound. Of principal interest is Notturno Concertante (2014), which features New York City-based clarinetist and sound engineer Chris Grymes with BMOP under the direction of Gil Rose. This work was commissioned by the Lois Lehrman Grass Foundation for Grymes to premiere with the Harrisburg Symphony in 2014. Upon initial listening, I noticed two quotations from familiar and contrasting clarinet repertoire: the chalumeau obbligato from Antonio Vivaldi’s oratorio Juditha Triumphans found in the mezzo soprano aria “Veni, veni me sequere fida” and Carl Nielsen’s Clarinet Concerto. Although such quotations in new music have the potential to sound contrived, Gill’s treatment creates a fresh, unique, special and convincing 22-minute concertpiece for clarinet and large orchestra. Grymes deserves commendation for his performance, which is delivered with a beautiful sound, dazzling technical facility and the utmost lyricism. Also notable is the BMOP clarinet section of Michael Norsworthy, Amy Advocat and Jan Halloran, who must perform one of the most challenging passages from Carl Nielsen’s Clarinet Concerto (found at the top of page 2) in unison at 15:20, followed by variants of this motive by the soloist and orchestra. To learn more about BMOP sound’s offerings, visit www.bmopsound.org. As this is my final column, I feel compelled to say that it has been an honor to serve as Audio Reviews Editor for The Clarinet since September 2015. After my election to the board of the International Clarinet Association as secretary this past spring, I felt it would be in the organization’s best interests to look for new talent for this position. After reviewing an exceptional pool of applications, the ICA invited Kip Franklin and Jeffrey O’Flynn to serve as Audio Reviews Editor and Associate Audio Reviews Editor, respectively, beginning in January 2019. I thought the readership would enjoy learning more about each of them, so I have shared their biographies below. 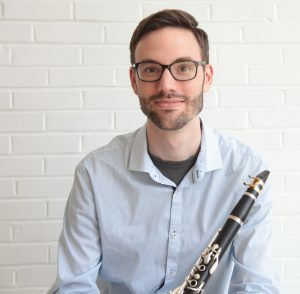 Kip Franklin currently serves as assistant professor of clarinet at the University of South Alabama where he teaches clarinet and music theory, and conducts the USA Clarinet Ensemble. Franklin has performed as a soloist, chamber musician and orchestral player throughout the United States and abroad. As a member of the USA Faculty Wind Trio, he released the album Perpetuum Mobile in 2016 (reviewed in these pages in March 2018). An advocate of new music, Franklin was a part of the consortium for David Maslanka’s Eternal Garden: Four Songs for Clarinet and Piano (2009) and his Concerto for Clarinet and Wind Ensemble (2014), and has co-commissioned significant works from other composers including David Biedenbender, Roger Zare and Philip Wharton. He was a featured performer at ClarinetFest® conventions in Ostend, Belgium; Orlando, Florida; and Baton Rouge, Louisiana, and has presented at the Alabama Music Educators Association and the Midwest Clinic. Franklin’s research interests are centered on commissioning and recording new pieces in the clarinet canon. His debut solo CD, Crossroads: Twenty-First Century Music for Clarinet, was released in 2018 (reviewed in The Clarinet Online in January 2019). Franklin earned his D.M.A. and M.M. from Michigan State University and his B.M. from Central Michigan University. Jeffrey O’Flynn joined the faculty of Utah Valley University in Orem, UT as assistant professor of clarinet and woodwind coordinator in 2015. He is thrilled to serve the international clarinet community as Associate Audio Reviews Editor. O’Flynn maintains an active performance and teaching schedule. 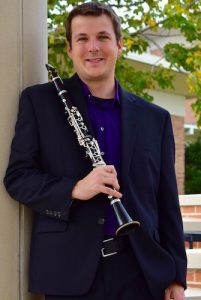 He performed as principal clarinet with the Queen City Opera and has appeared with the Utah Symphony, the Cincinnati Opera, the Richmond Symphony, and the Wichita Symphony, among other ensembles. As a chamber collaborator, O’Flynn performs with his UVU colleagues in the Alpine Chamber Ensembles. In spring 2018, he co-founded the C3 Clarinet Trio. 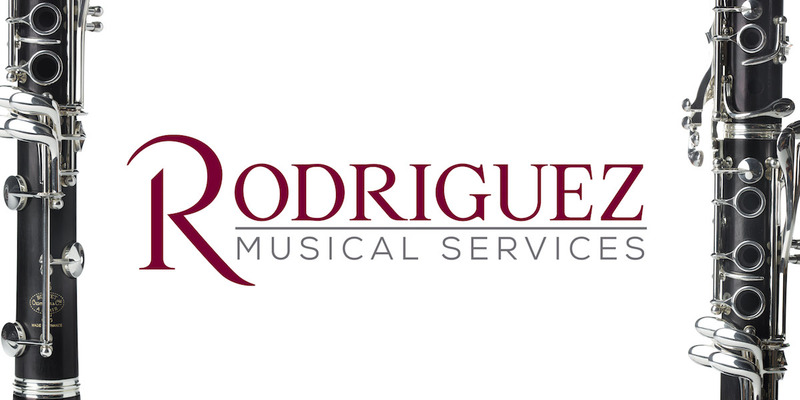 His recent recital and clinic engagements include the Universidad Nacional Autónoma de México (Mexico City), Las Vegas Clarinet Day, the University of Arizona, Adams State University, the University of Texas at Arlington and the American Single Reed Summit. Beyond his performing credentials, O’Flynn served as manager for Cincinnati’s concert:nova ensemble. His scholarly interests include arts nonprofit administration and interactive concert programming. O’Flynn holds degrees from Wichita State University (B.M. 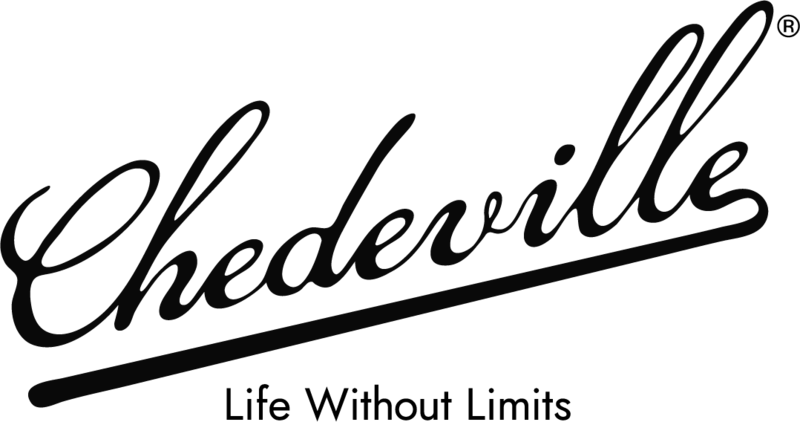 ), Florida State University (M.M. ), and the University of Cincinnati College-Conservatory of Music (D.M.A.). His main instructors were Suzanne Tirk, Frank Kowalsky, Ronald Aufmann and Ixi Chen.